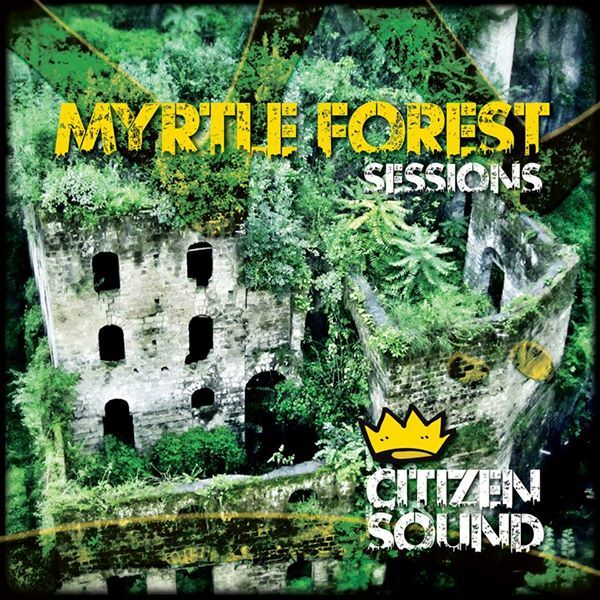 Soul Island | Future sound of dub! 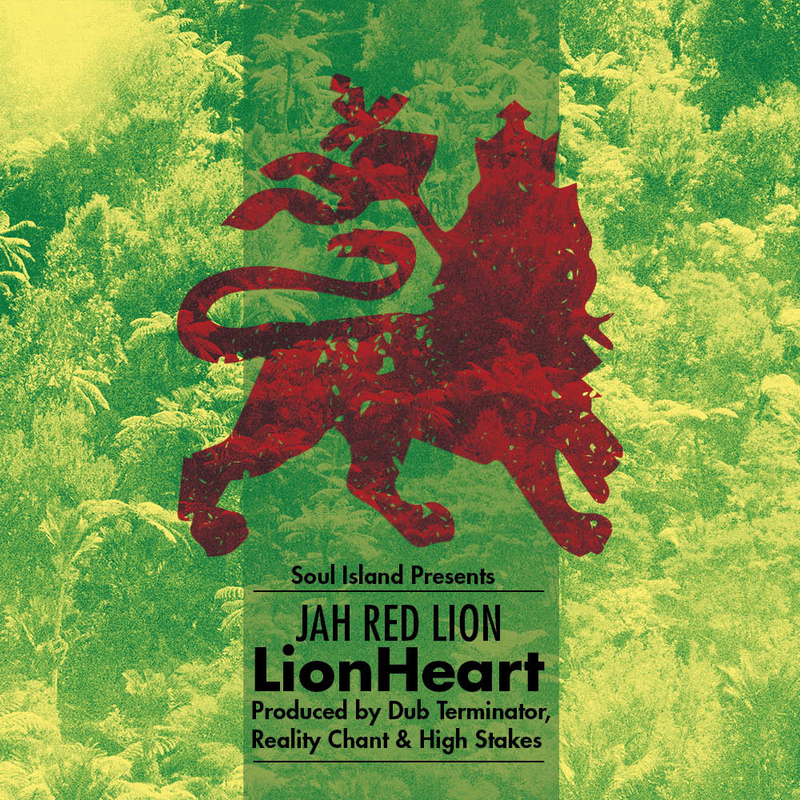 Soul Island Dub No. 1 Top Release! Click to Buy on Beatport! 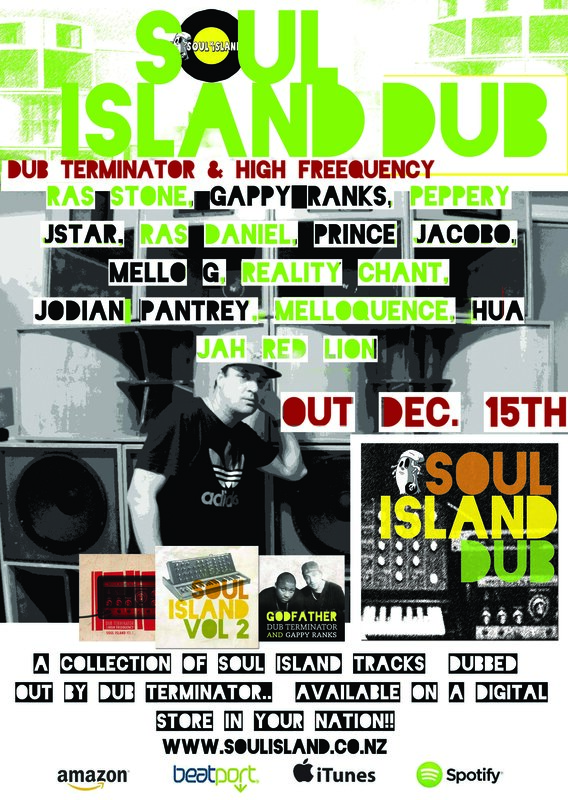 Soul Island vol 2 top reggae dub releases!! 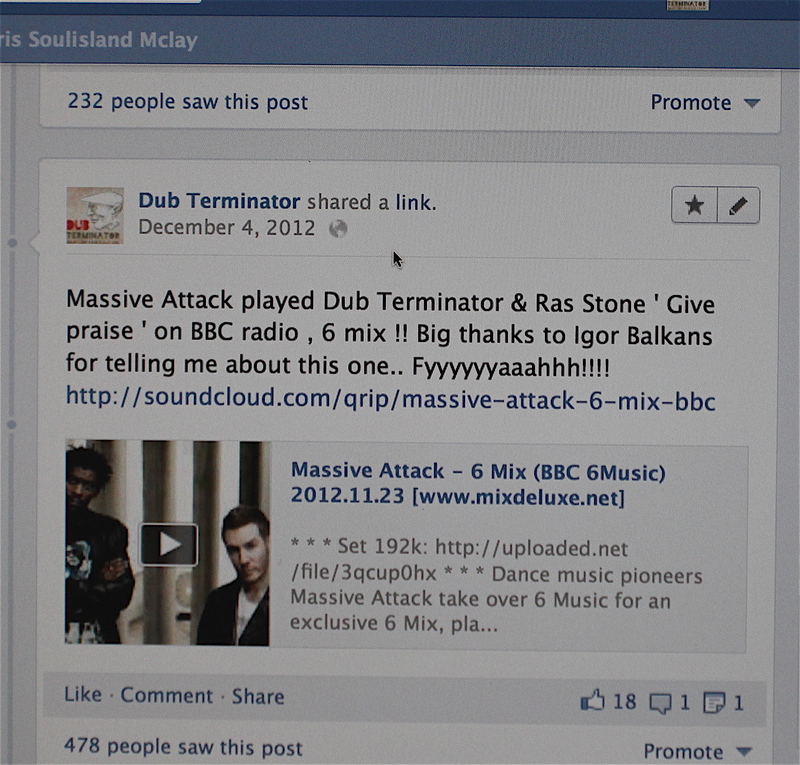 Dubmatix drops Dub Terminators Soul island in the mix! 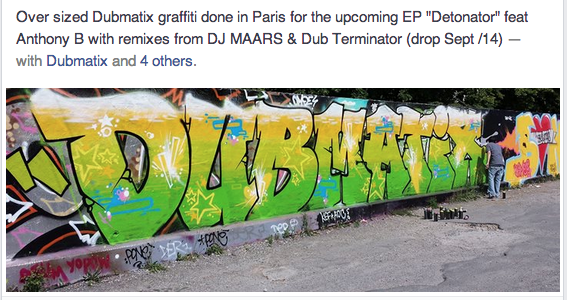 Click to hear this super dub sized Dubmatix mix!! 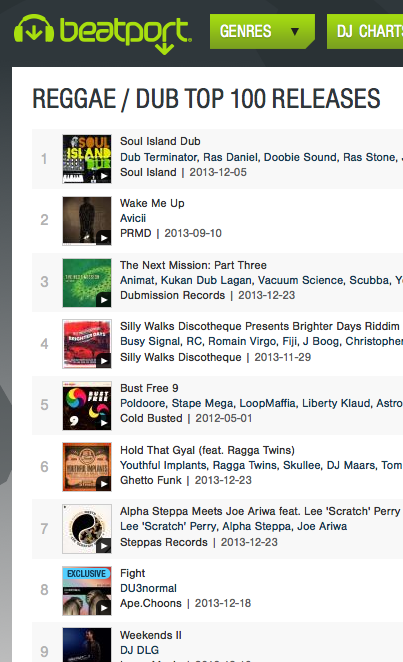 #1 Top tune ‘ Give Praise ‘ with Ras Stone ! #2 Mamma Africa with Ras Stone ! Dub Terminator & Ras Stone live!! Boooooom tune out August 21st! Click to hear the single !! 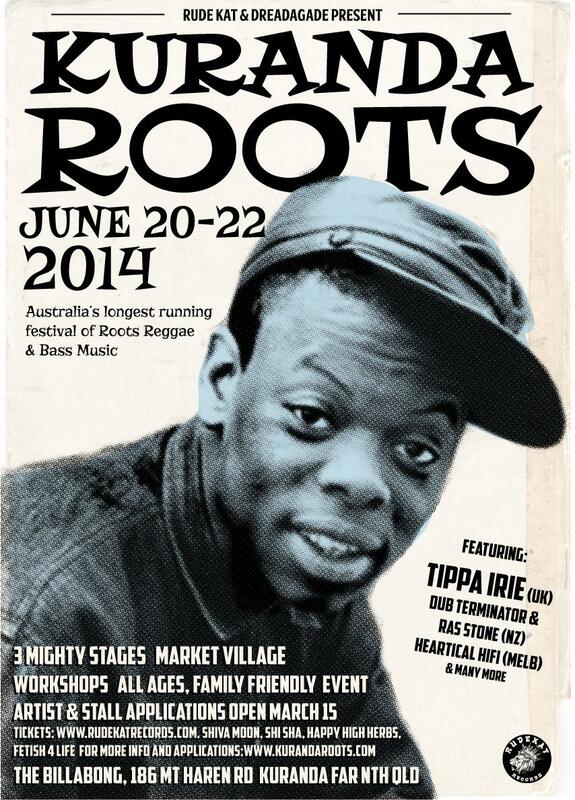 Dub Terminator Show @ Kuranda Roots , QLD , Australia!! OUT NOW - Click to buy! 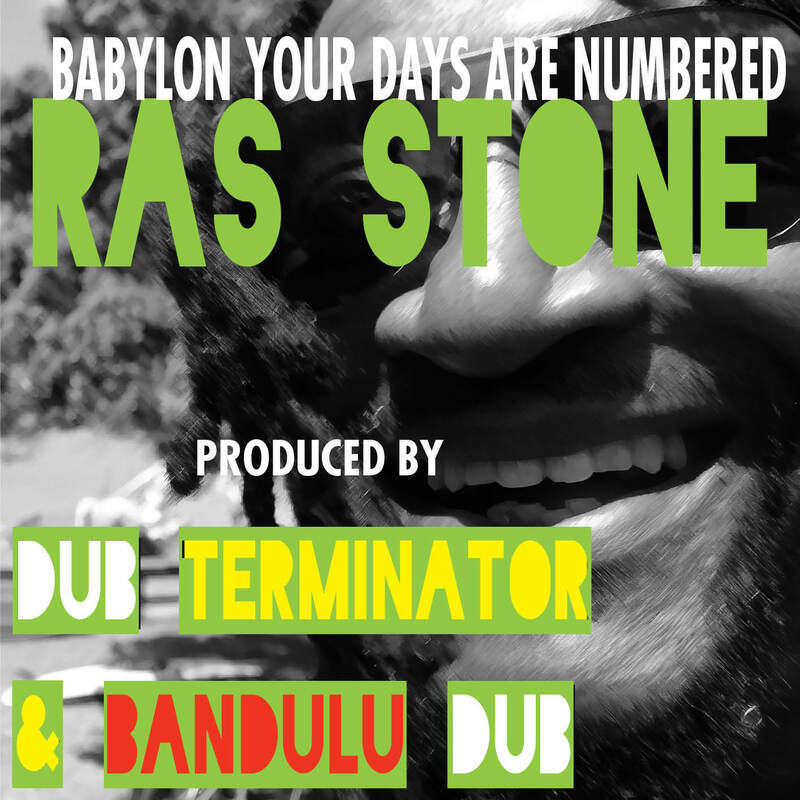 New tune from Dub Terminator & Ras Stone – With Bandulu Dub!! 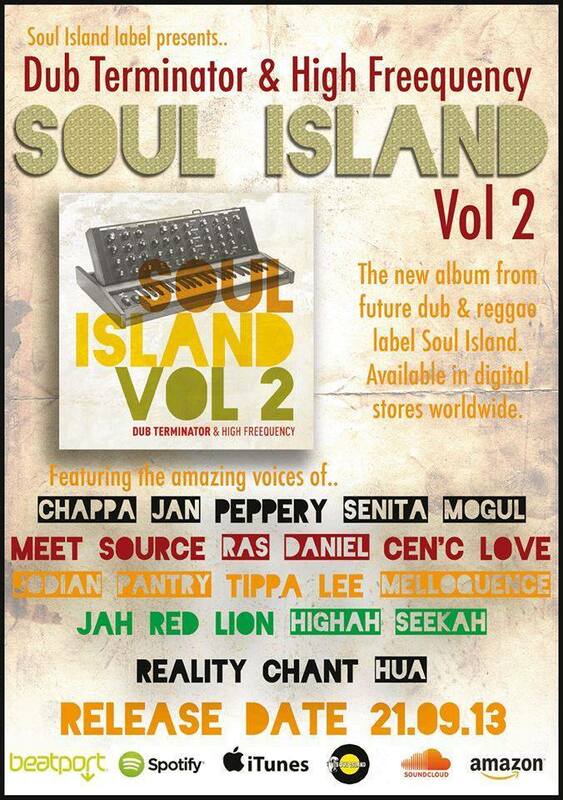 Fourth coming release Soul Island vol 2!! 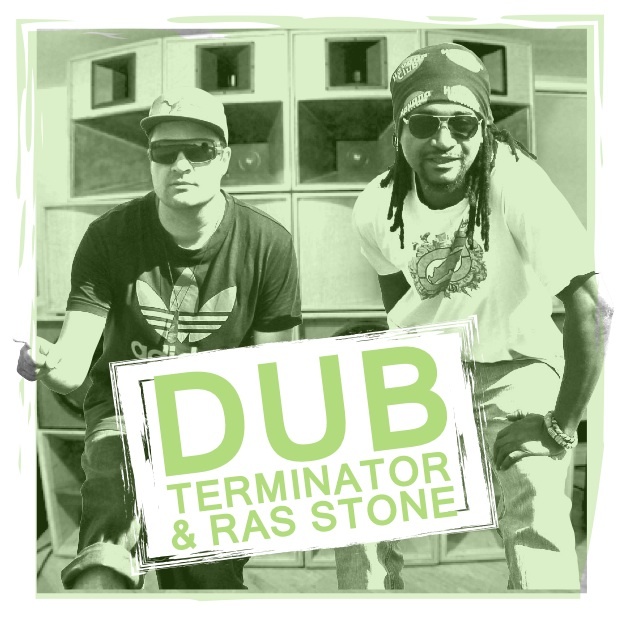 Dub Terminator & Ras Stone album!! New Release Ft Sgt. Juggler & Melloquence out Feb 15th!! Dub Terminator No. 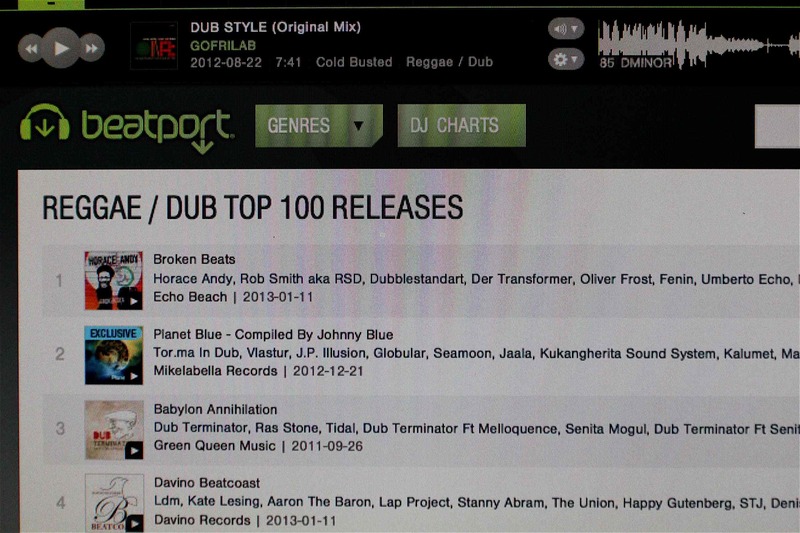 3 in Top 100 dub / reggae releases on beatport .. Fyyyaahhh! We have featured Dub Terminator and Ras Stone as a Track of the Week here before with the 'Bad Mind' single and remixes, but this new cut from the Auckland producer and Wellington chanter is just too good to be overlooked. 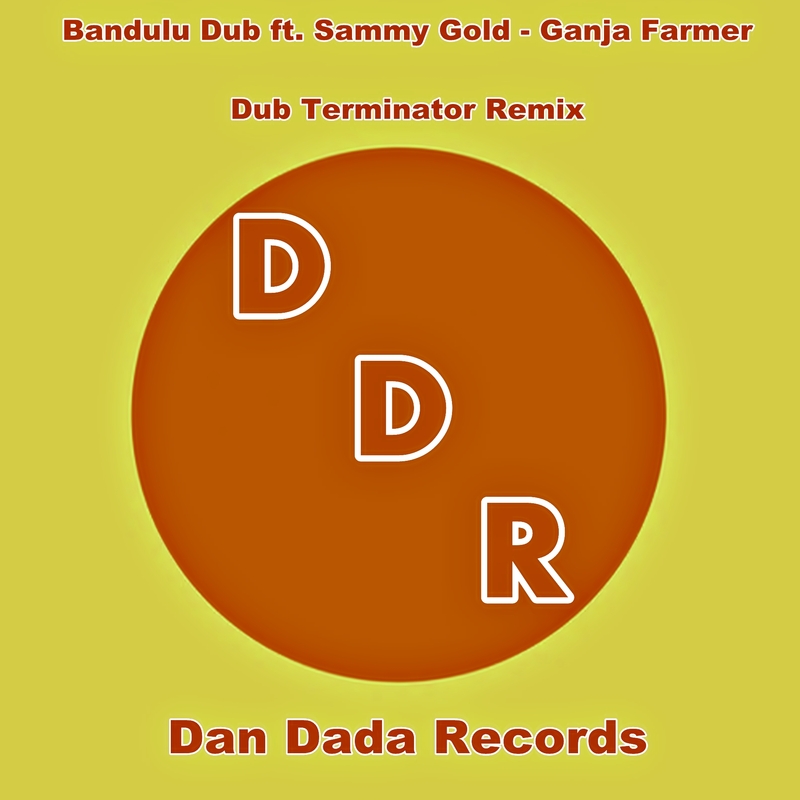 Pushing forward with his own distinctive electro/roots style, Dub Terminator serves up a fresh original rhythm which simultaneously incorporates the best of both reggae and dubstep styles. Ras Stone lays down a strictly conscious voice-over imploring us to give praise to the most high. Yes, there is autotune and there is also a wobbly bassline but these contemporary flourishes are never overdone and can't disguise that this tune is still essentially a righteous roots anthem. This one is currently running on high rotation at the dub headquarters right now. To date the pair have recorded some ten songs together, so with a little more time in the studio I anticipate that a full length album release is not too far away. 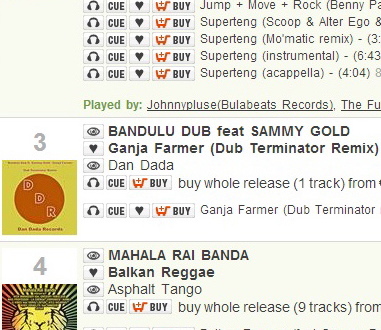 For those folk that like an excess amount of step in their dub I have also included below a link to Dub Terminator's raggastep remix of Skrillex & Damian Marley's 'Mek It Bun Dem', which was his entry in the recent Beatport Play competition. 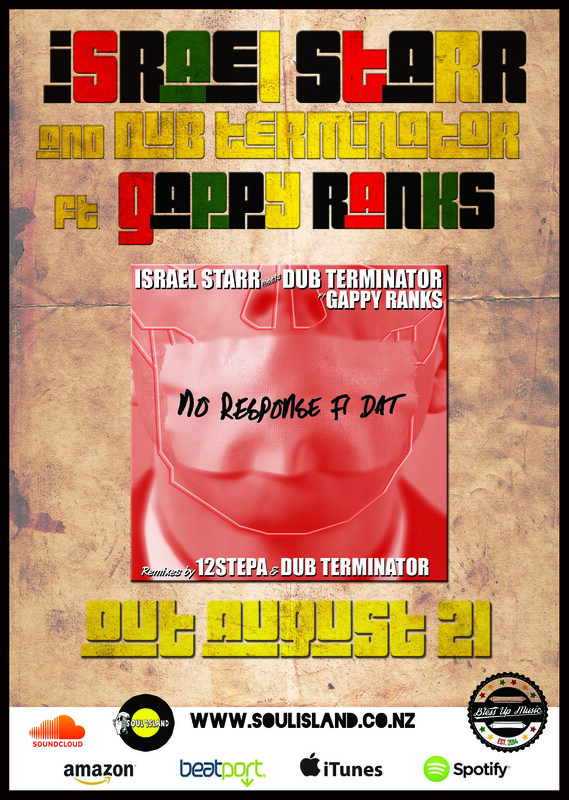 With his ever expanding releases of late, we didn't need any more proof of Dub Terminator's vast talent (check this banger for instance), but he has now gone and collaborated with one of the hottest artists in the world, the great Gappy Ranks. The rumor mill suggests that the vocal track for this tune was done in one day, from writing to recording, during Gappy's recent trip to our shores for Splore and a few selected shows up and down New Zealand. This is not your typical tune to find Gappy on, but it does blend surprisingly well, and therefore Mr Terminator has once again proven he has the skills to pay the bills. A rather dubby number that has the unmistakable sound of Dub Terminator topped off with some great conscious lyrical content from Gappy has put this tune on heavy rotation for myself and other selectors alike. 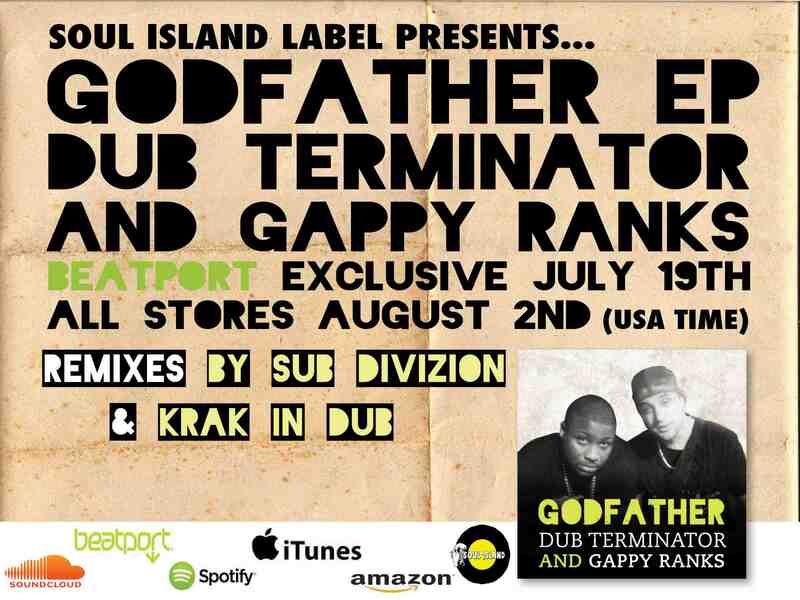 I see some great things ahead for this track on both a local and international scale and hope that it cements Dub Terminator as one of the country's great producers. I am not entirely sure where and how to get this release, but with a small amount of searching I can assure you that you will find it. Fingers crossed we get a 7" vinyl release! Apart from dropping a few original vocals on some local producers tracks, Gappy also spat out a few dubplates for local sounds as well as a some radio stings. If you where lucky enough to catch him while he was here (the free show at Ponsonby Social Club was a lifetime highlight for me) you would understand just how much talent exudes from this North London artist. Keep your ears peeled for some more local releases featuring Gappy, as I know of at least one more that is yet to be released. In closing, this tune is amazing and I cannot fault it. Dub Terminator, we beg you for more like this. New Zealand dubventurer Chris McLay, probably better known under his moniker Dub Terminator, unleashes a brand new album called "Babylon Annihilation". Working from his Ocean View studio in DevonPort (Auckland NZ), he has been exploring the many faces of electronic music over the last decade. 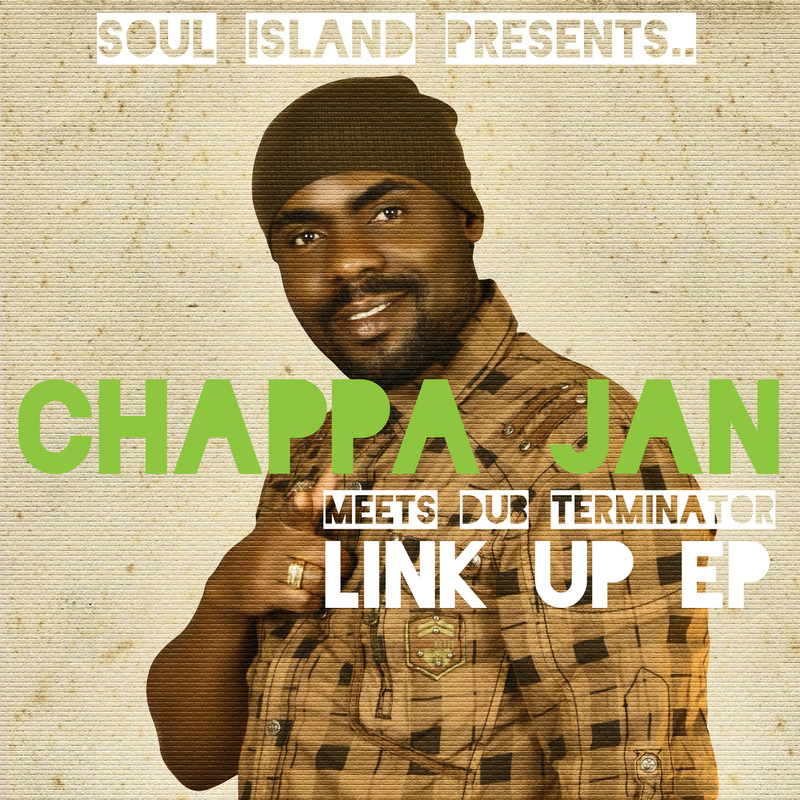 In the last few years he has brought a host of well-known artists into his productions including people like Natty King, Gappy Ranks, Rodney P, Tippa lee & Ras Daniel and Jim Nastic aka Jim Brown, meanwhile becoming widely known for his own personal blend of roots reggae, electronic music, dubstep, and future style reggae. 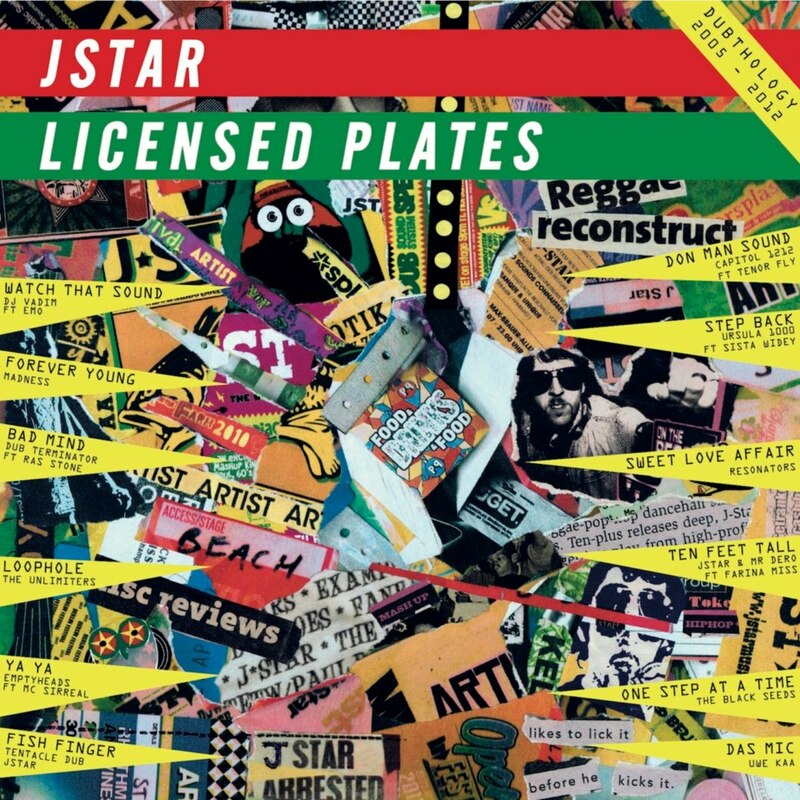 For this album he created the riddims in his own studio, while working closely with up-and-coming Jamaican vocalists Melloquence, Tidal, and Senita Mogul, and New Zealand based African vocalist Ras Stone. Riddimwise the main contributors to the sound of this collection are the Mini Moog and the classic space echo, bringing lots of 'phat' bass & synth tones balanced by the dirty darkness of the spring reverbs. 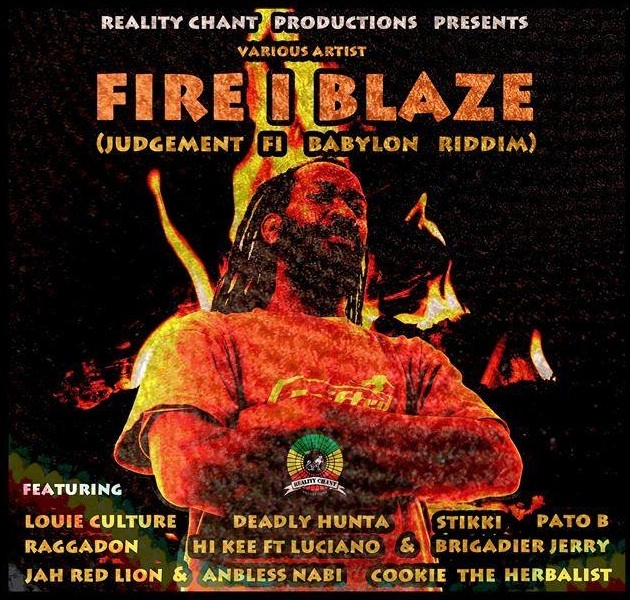 "Babylon Annihilation" features a mix of sounds and styles ranging from dancehall, reggae and ragga to dubstep and hip-hop with elements from grime as well as mainstream club culture. 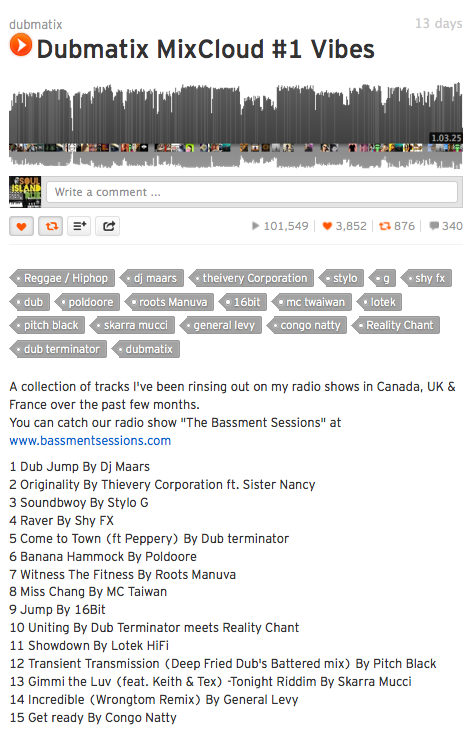 The listener is treated to the heavy dubstep mix of the ganja tune "Let It Blaze", the more commercially-vibed, hip-hop oriented "Bed Of Rose" and the sparse and dubbed out "Dope Magnets", to point out only three examples of the multiple flavored sounds included here. It makes this set a very varied musical affair, which on the one hand will surely appeal to open-minded music lovers, but on the other hand will be abhored by purists. Our favourite tracks include the album opener "Call Me", "Bad Mind", and "Bed Of Rose". 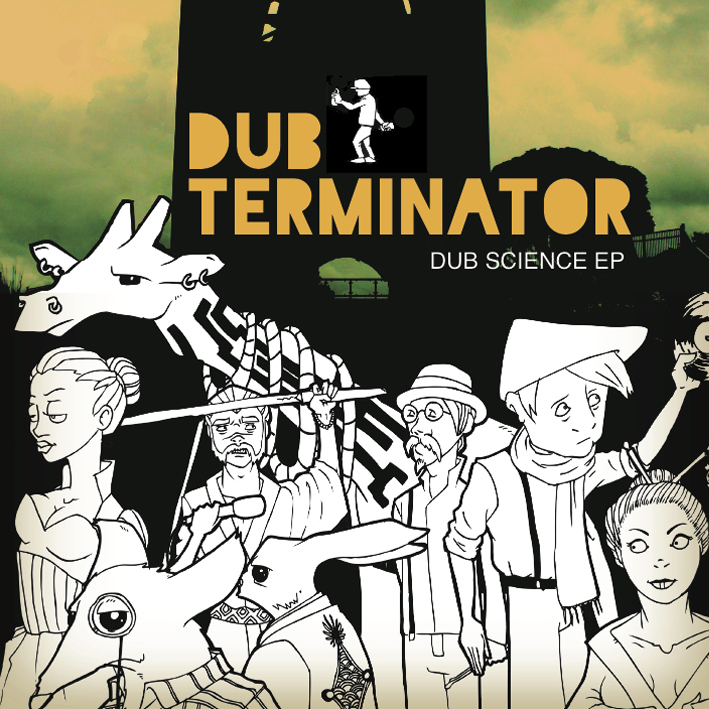 All in all this is a well-produced effort, offering the listener a nice journey through Dub Terminator's soundscapes. 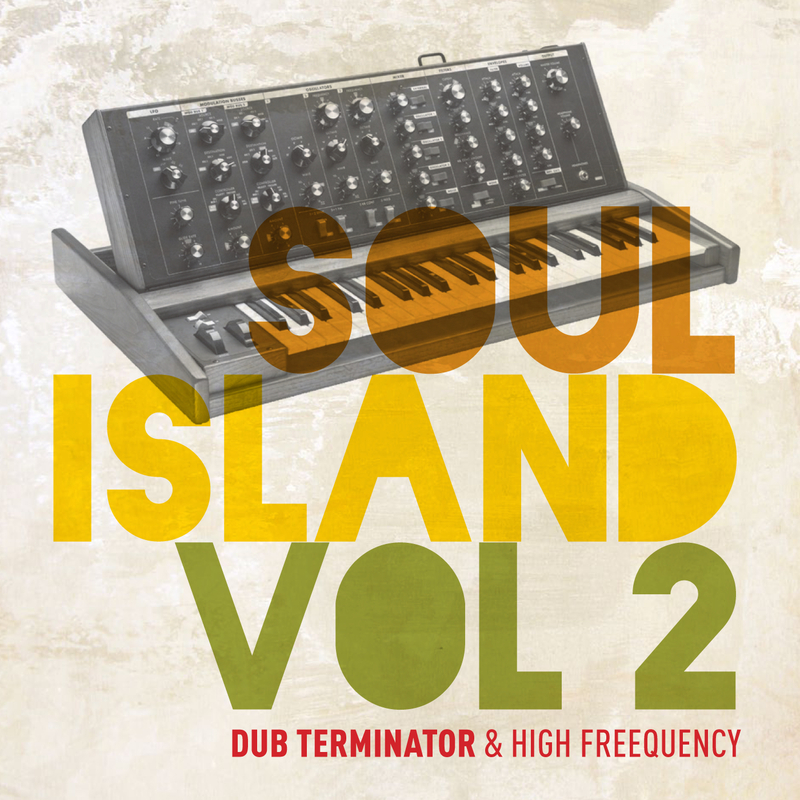 Dub Terminator and High Freequency proudly present Soul Island Vol. 1 - a selection of the freshest Jah heavy roots and dubstep recorded for their new label, Soul Island. 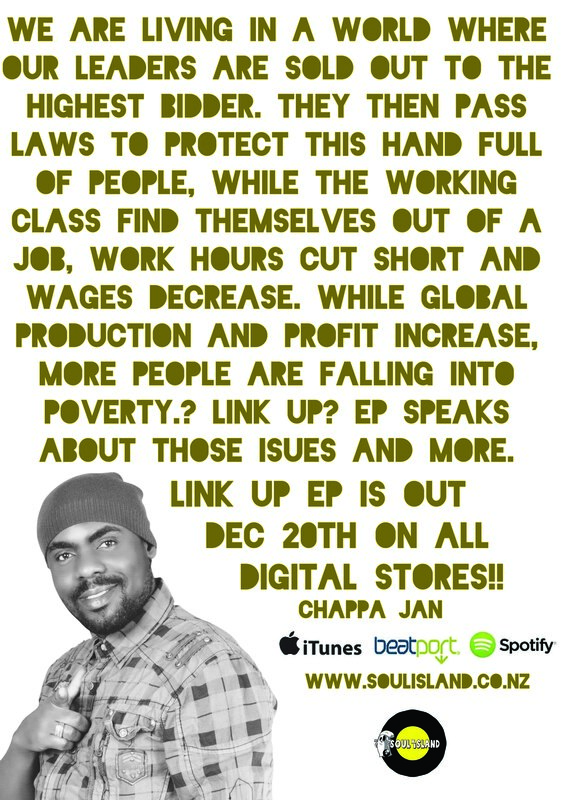 Initially available as a digital promo release in mid 2010, due to a huge amount of downloads and interest, in October 2010 the album will be released in-store throughout Aotearoa. Soul Island creates tunes with the aim of bringing a new, conscious sound to the people, blending the unique styles and cultures brought together by their varied artists and projects. Dub Terminator is New Zealand-based producer Chris McLay, who is widely known for his unique blend of mashed up reggae, dub, dance hall and hip-hop. Producing and remixing tracks for Jamaican MCs from abroad over the past year, Dub Terminator worked with some of the innovators of the music scene including John Holt, Yellow Man, Sizzla, Jim Nastic aka Jim Brown, Rhombus and Rodney P, Reality Chant and Natty King, as well as an army of newly recruited Jamaican MCs from Jamaica and Europe. Touring New Zealand with Rhombus both as a guest MC and also showcasing the Dub Terminator sound-system set, he mashes up tunes direct from the studio to the stage, enabling him to bring live electronic bass-weight straight to the dance, pure and heavy. In 2009, Dub Terminator met Spanish producer, High Freequency (Jacobo Miquel) and began creating remixes for his vocal dubplate recordings with a host of well-established Jamaican artists. As their work progressed, the Soul Island label was created. After continued success with their remixes, the duo took things a step further and began sending fresh riddims to other vocalists around the globe, with Dub Terminator producing the riddims and High Freequency linking and booking artists and studios for the tracks to be recorded in. 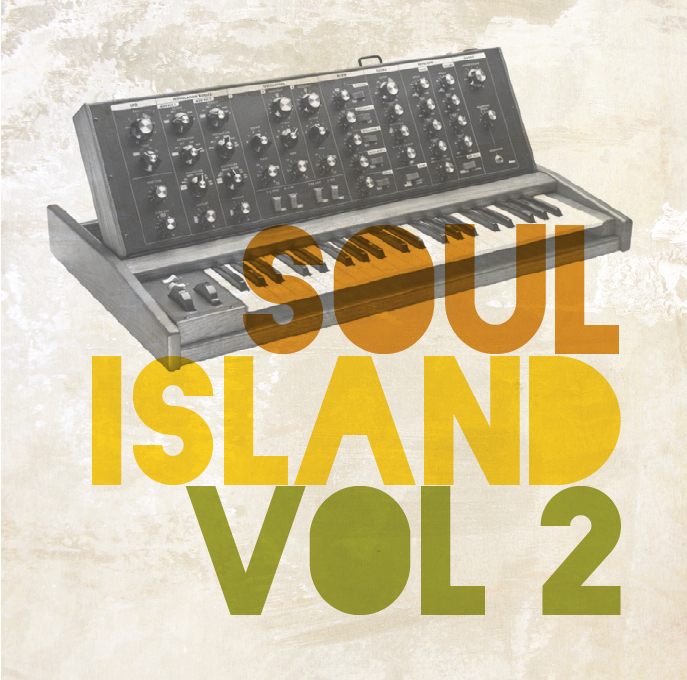 Over the next few months tracks from artists from Jamaica to Canada, UK to Africa flooded in and Soul Island Vol. 1 was born. 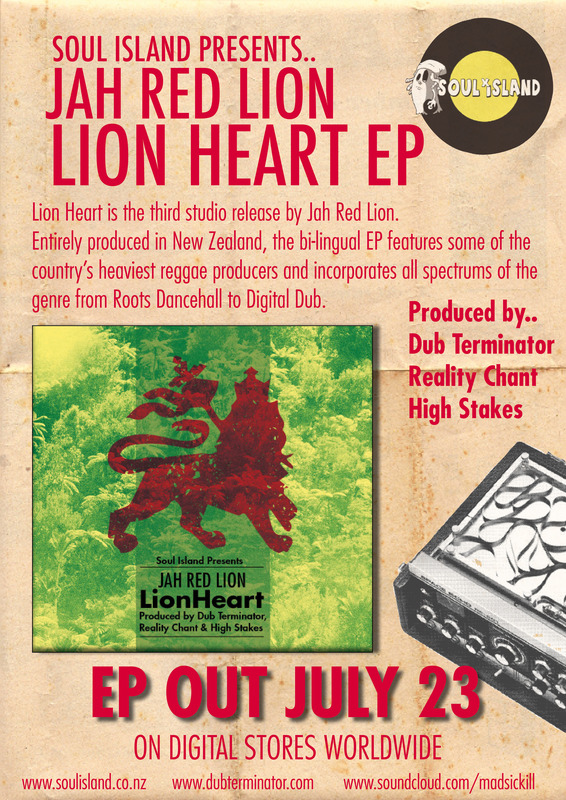 Green Queen Music has been releasing a steady stream of top quality dub related projects and the late September 2011 release from NZ based Dub Terminator, Babylon Annihilation, is no exception. Dub Terminator creates a rare combination of dubstep, rootsical reggae and dancehall, all looking forwards while rooted firmly in the Jamaican heritage. A lot of dubstep does not connect with dub – this is imbued with it. The version I was sent by the label, which I presume to be the UK release version, has ten tracks on it and a slightly different title, Babylon Annihilation. 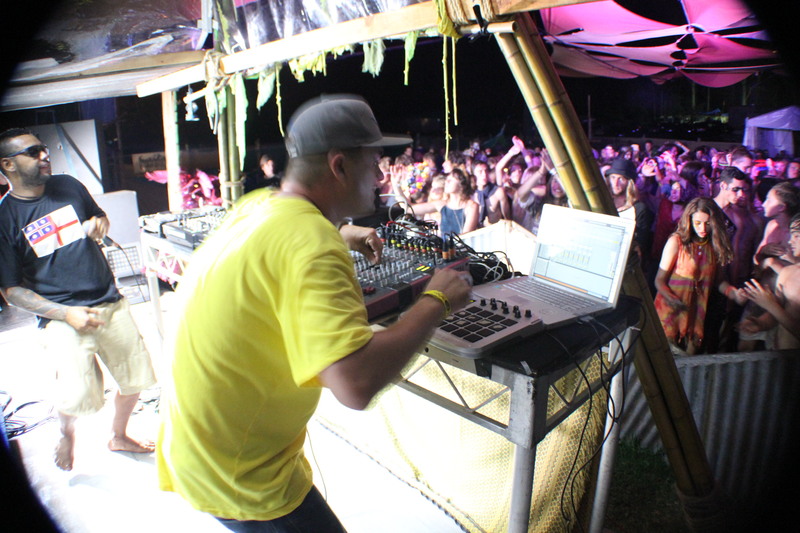 New Zealand based producer Dub Terminator has had a life- long passion for composing and producing music. Learning Guitar, Bass & Synthesizers when he was a kid equipped the Terminator with sufficient skillz to set out and conquer the next dimension of sound yet to be discovered… 15 years into the future he is becoming widely known for his unique blend of Roots flavour Dubstep & future style reggae. Producing and remixing tracks for Jamaican MC’s from abroad over the past two years has brought big names into his tunes like Gappy Ranks & Rodney P , as well as his army of newly recruited Rasta vibe MC’s from all around the globe. 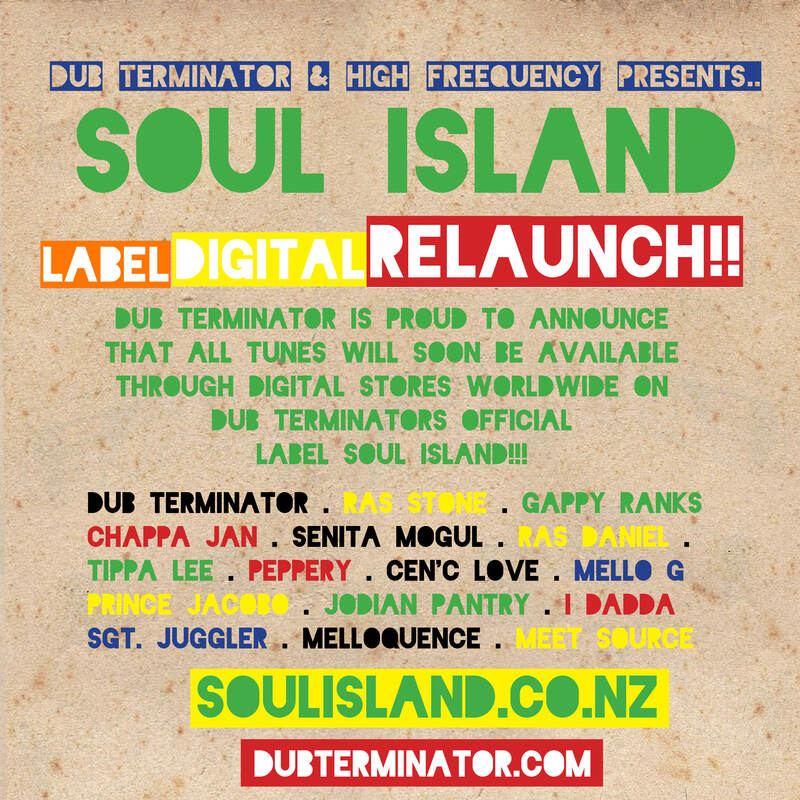 Dub Terminator released his first official album in 2010 collaborating with Spanish super selector/producer High Freequency who took on the role of shopping DT’s Aotearoa future reggae beats out to Jamaican vocalists around the globe for their newly established digi-label, Soul Island. 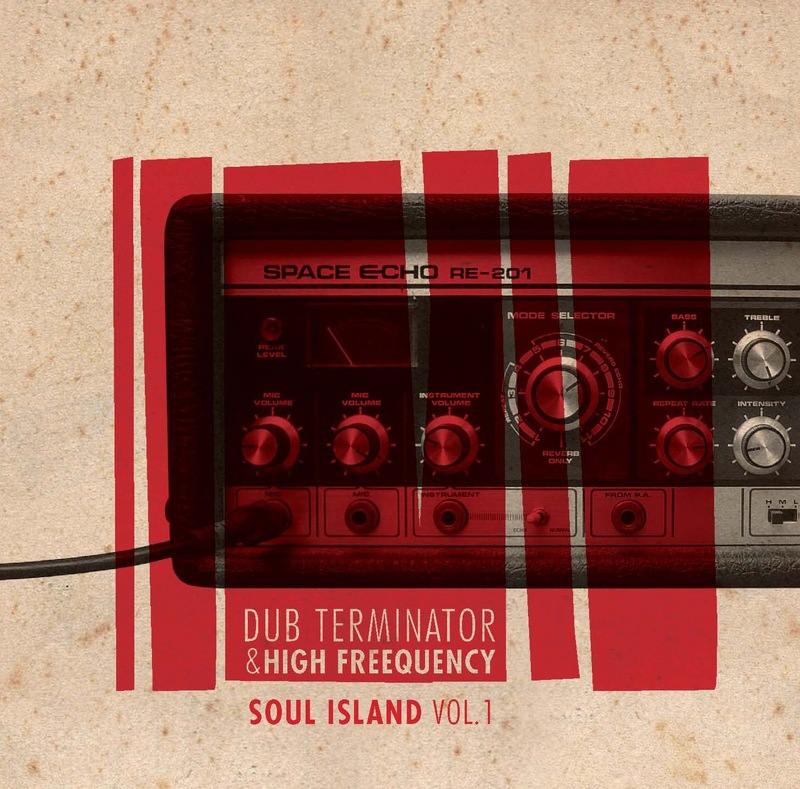 Dub Terminator and High Freequency released their first album, Soul Island Vol.1, as a digital promo release for radio and DJ’s in mid-2010. After a huge amount of downloads and interest the boys hooked up the full NZ in-store release for the album. 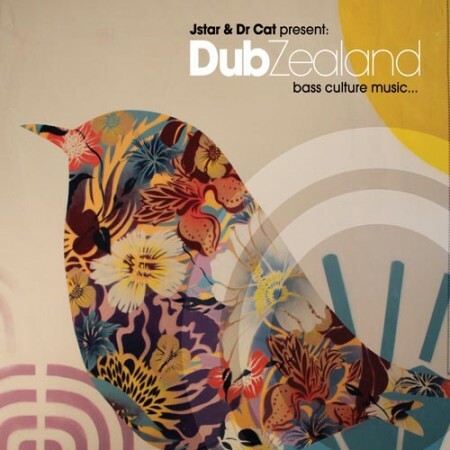 The Dub Terminator vibes spread even further again with the tune Big up Riddim being picked up for the NZ dub compilation Dub Zealand released in Feb 2011. 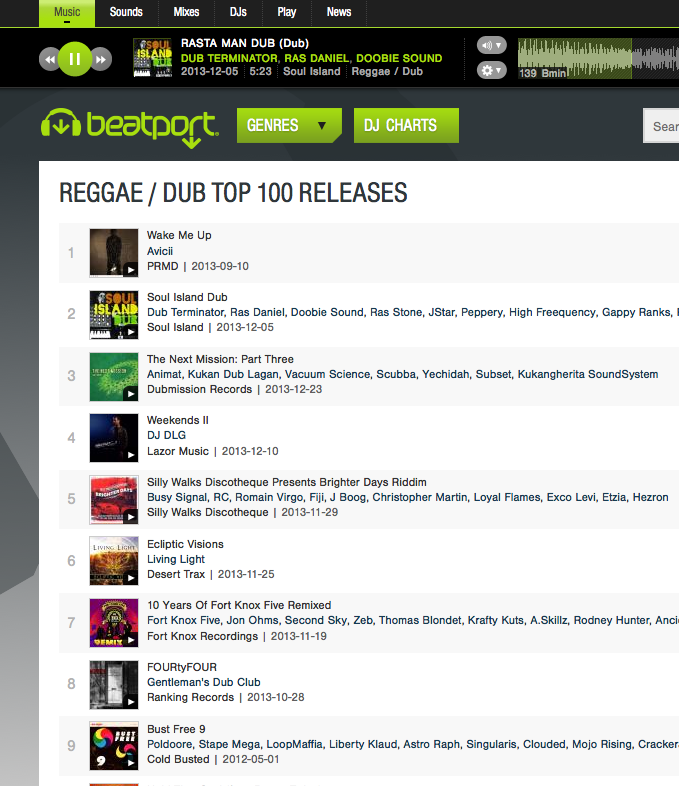 Big up Riddim wound up at no.1 on the Beatport reggae & dub charts for 2 weeks and stayed in the top 20 for over 3 months. Dub Terminator released his second album. Babylon Annihilation through London based record company Green Queen music. 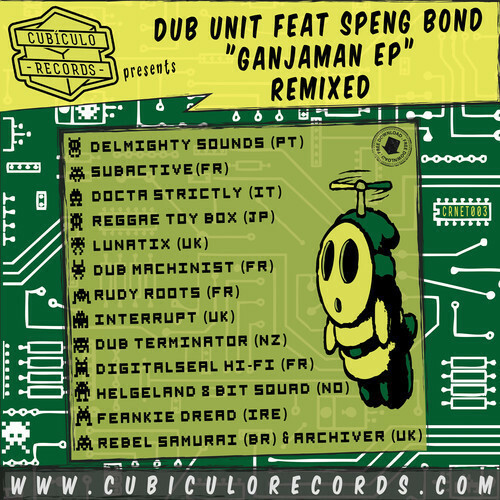 The album was released in late 2011 followed by two Dub Terminator remix EP’s. Bad mind Ft Ras Stone the stand out tune had remixes from Jstar & Doctor Cat hitting the Dub & Reggae charts for a number of weeks. 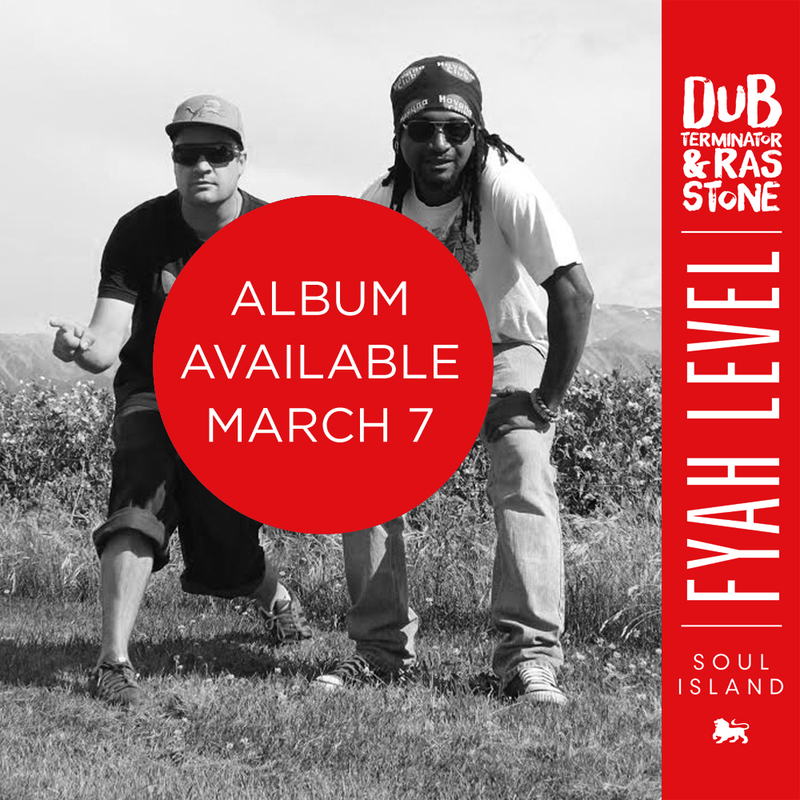 Dub Terminator is constantly mashing up the tunes in the studio as well as on stage with his Dub Station and his tour MC & collaborator Ras Stone bringing the fire to every show. Dub Terminator brings a live Future Dub style Dubstep set to the dance floor with some of the most heavy bass in the land. 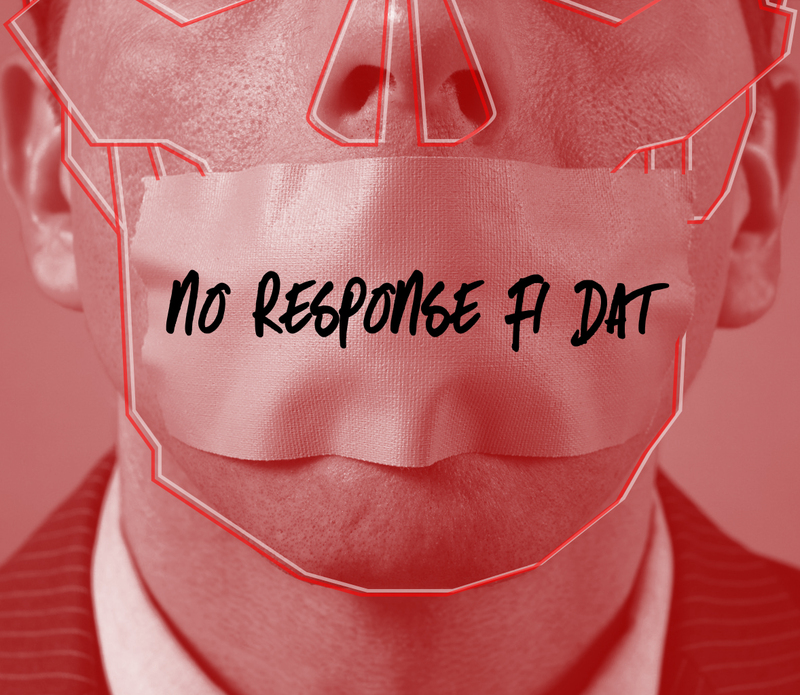 Click to download the first song free! 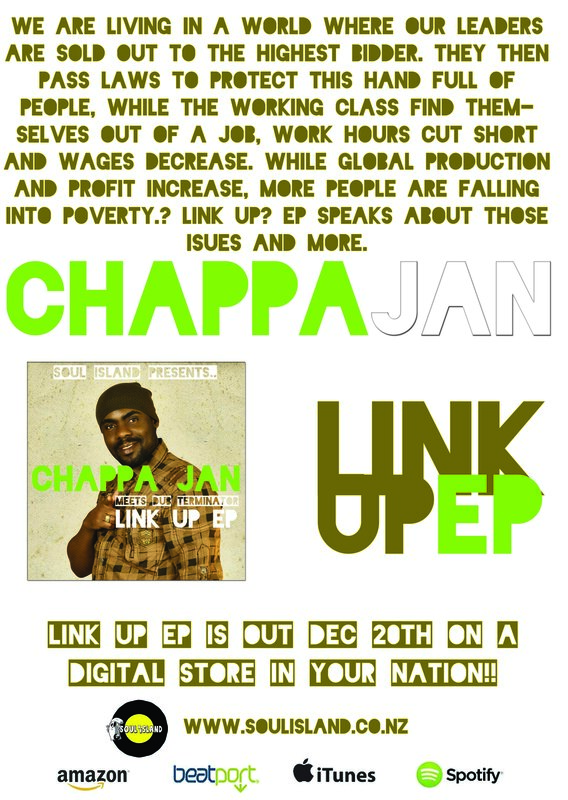 Chappa Jan EP OUT NOW! Soul Island vol 2 OUT NOW! 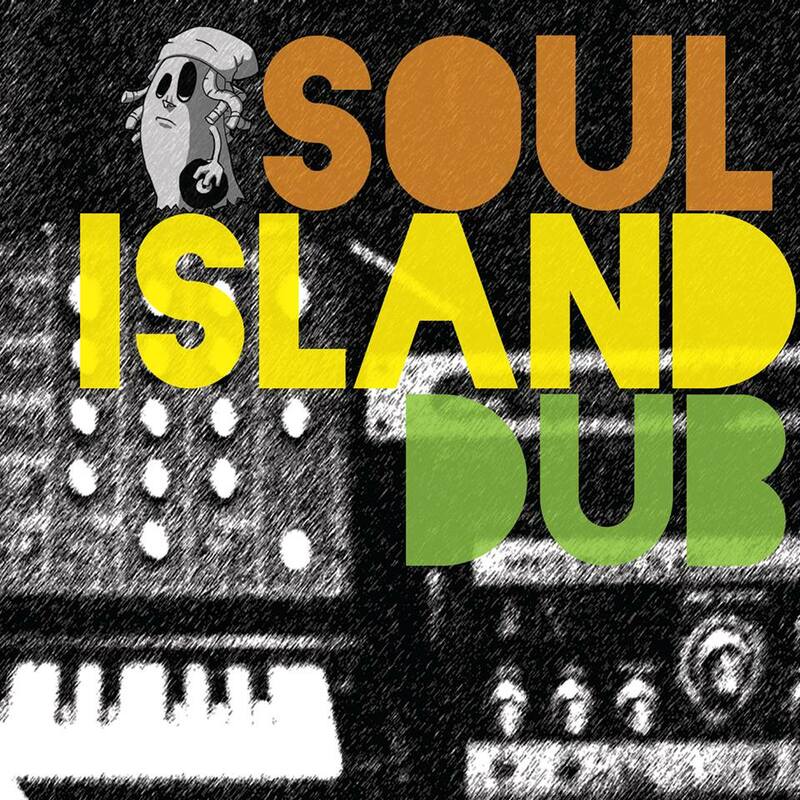 Soul Island Dub OUT NOW! 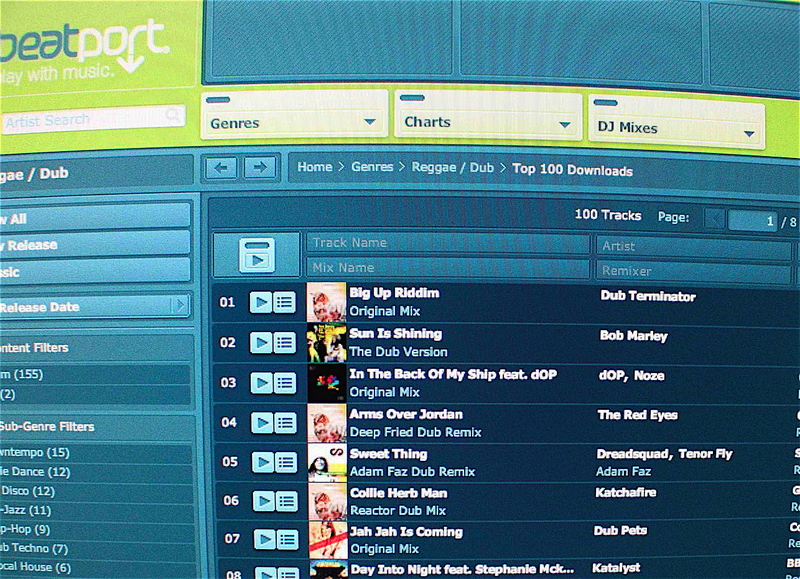 Pepper ‘ Come to town ‘ top 10 Reggae / Dub tune! NO. 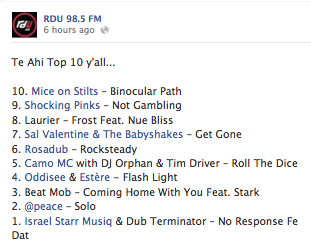 1 on radio RDU cristchurch!